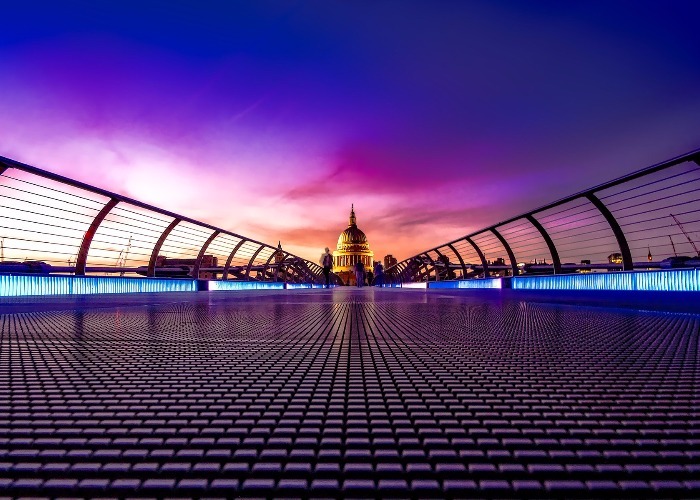 Europe's number one city break destination, London is an ever-changing dynamic city of nearly nine million people. Here’s our guide to the what to do in London, plus where to eat and sleep for all budgets. London is a global capital with the world-class sights to match: museums stuffed with masterpieces, dizzying skyscraper views and restaurants that have critics scrabbling for superlatives. However, in places it remains surprisingly low-key and local, with a patchwork of distinct neighbourhoods that range from charming Georgian squares and pristine village greens to graffiti-strewn arts quarters, meaning there's always a new corner for you to explore. Centrepiece of Britain's royal history for nearly a millennium, the Tower of London has been the site of intrigue, wealth and many, many executions – including that of Anne Boleyn. The crown jewels are the highlight, along with armouries, the 11th-century Chapel of St John and entertaining tours by Beefeater guides. Founded in 1759 as a museum open to “all studious and curious persons”, the British Museum now welcomes six million of the studious and curious each year. Housing a vast collection, it can overwhelm at first visit, so a highlights tour (£12) can be worthwhile. Don't miss the Ancient Egyptian galleries or the beautiful Lewis Chessmen. Founded by Edward the Confessor in the 11th century, the Palace of Westminster – as the Houses of Parliament are known – is synonymous with London. The current Gothic Revival building was largely designed by Charles Barry in the 19th century. You can take tours on Saturdays, though the best photos of the exterior and Big Ben are from the south bank of the river. 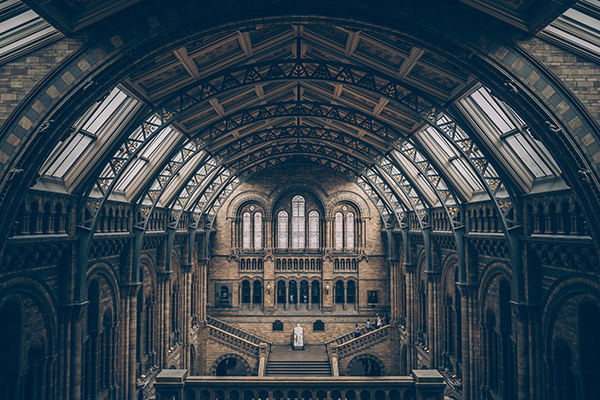 Three great museums stand side by side in South Kensington: the Natural History Museum, Science Museum and Victoria & Albert Museum. All are free to enter. For wonderful decorative arts and sculpture the V&A is a must. Kids and science nerds may prefer the dinosaur skeletons of the Natural History Museum, or rockets, aeroplanes and hands-on experiments at the Science Museum. Renzo Piano's 1,016ft tapered glass tower, completed in 2012, is now part of the cityscape – almost as recognisable as the London Eye. Views from the 72nd-floor viewing take in all the capital's famous buildings and stretching way beyond the city limits. The viewing platform is open to the elements, so you can feel the breeze as you look out at the city below. Alternatively, head to Aqua Shard to eschew the entry fee and have a cocktail on the 31st floor instead. One of London's most atmospheric venues, Wilton's Music Hall dates from 1859, and features distinctive barley-twist columns and an elegantly crumbling interior, which has been restored just enough to give you a real sense of its heyday as a music hall. It hosts concerts and plays or you can just pop in for a drink in the bar, or visit for a guided tour. Built in 1820, the Regent's Canal runs in a curve around the north of the city centre. 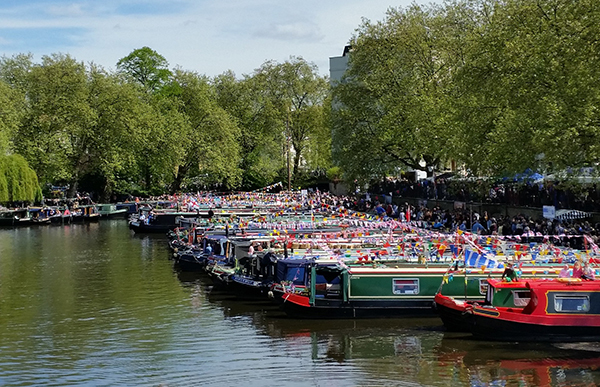 Begin the day at Little Venice, near Warwick Avenue, where boats line the canal basin, and follow the canal path first to Regent's Park and London Zoo. You can continue on to Camden, where you can grab a bite to eat at the market, and even walk as as far as the newly rejuvenated King's Cross canalside district. If you want to explore the city's museums without the school groups, check out evening opening times. Many museums host monthly “lates” when they throw open their doors, and create a themed night, with DJs, bands, silent discos, guided tours and hands-on activities. 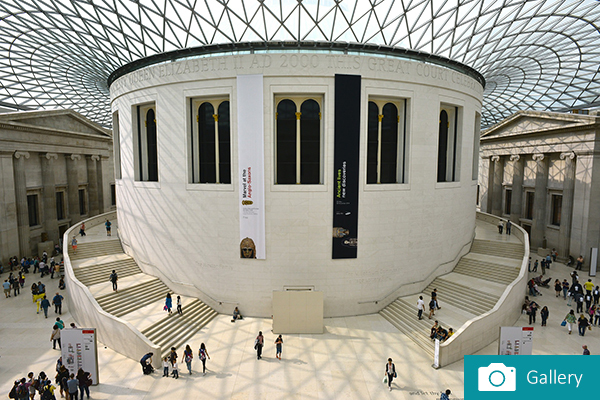 The V&A, Science Museum, Tate Britain and British Library all host evening events. The craft beer craze has well and truly hit London, and you could spend weeks tasting your way around the city's microbreweries. Bermondsey has a cluster, with several opening tap rooms for tastings at weekends, including Anspach & Hobday. Five Points Brewing Company in Hackney also runs monthly tours. 1. For period charm and romance: Hazlitt's has long been the boutique hotel destination in London. The décor is in-keeping with the 18th-century buildings it occupies in the heart of Soho. 2. For the best location: One Aldwych has a perfect location for theatreland, and a calm, elegant décor. There's particularly attentive service and a basement pool and spa. 3. For Victorian grandeur: A grand, Victorian railway building, given a luxe 21st-century makeover, the Great Northern is a beautifully designed centrepiece for the rejuvenated King's Cross district. 1. For East End style: Compact stylish rooms, and a great location for the Shoreditch's nightlife, The Hoxton is a buzzy, lively place. Rates vary considerably so book ahead, and look out for offers. 2. For simple but effective: Bright, quirky décor, eco-credentials, good deals on stays of more than one night and a handy East London location, make Qbic a good bet for budget travellers. 3. 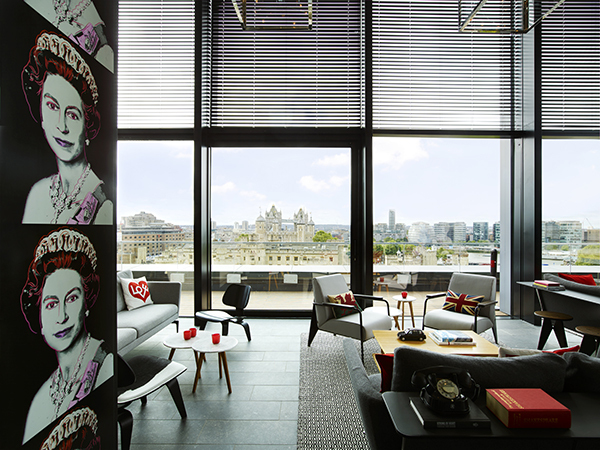 For incredible views: With a no-fuss, friendly vibe and slick, modern furnishings, Citizen M hotels are reliable city-break options. At this branch you add in jaw-dropping views of the Tower of London and surrounding area from floor-to-ceiling windows. 1. For Soho cool: Hoppers is named for its signature dish, a Sri Lankan bowl-shaped rice pancake, which is served with tangy relishes and curries, and is worth the queues (or go early for lunch). Serving small plates of Venetian sharing food – meatballs, pizzettes with cured pork, fritto misto – Polpo has branches on Beak Street and Maiden Lane. 2. For classic British: With a famously “nose to tail” approach to its meat cuts, St John in Smithfields is well regarded for its daily changing menu of seasonal meat and fish. Near Waterloo, the Anchor and Hope gastropub is another destination for carnivores, and serves an excellent Sunday lunch (no booking except Sundays). 3. For street food and innovation: Kricket started life in a shipping container in Brixton, and now serves its innovative Indian sharing dishes and cocktails in a cool space in Soho. Zoe's Ghana Kitchen, at Pop Brixton, serves a short and fiery menu of delicious West African home cooking. 1. 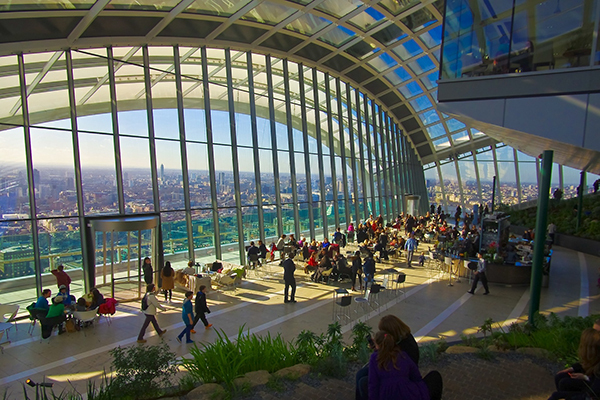 Get spectacular views for free: The open-air, 10th-floor terrace at Tate Modern's Switch House building and the Sky Garden, Fenchurch Street (aka “the Walkie Talkie”), both offer superb sky-high views for free (booking required for the latter). 2. Book your bed ahead: Many hotels offer much better deals if you book non-refundable dates well in advance – think three months or more ahead. It pays to be flexible on dates too. 3. Enjoy drama beyond the West End: Many visitors come to London for a big West End show, but keep an eye out for theatre hits beyond W1. Hampstead Theatre, the Almeida in Islington and Menier Chocolate Factory in Southwark have all produced critical success stories, while the Royal Court in Sloane Square is renowned for supporting new writing. Just an hour by train from Paddington, Oxford makes an easy day-trip. The honey-toned university buildings, cobbled lanes and “dreaming spires” live up to the pictures. Wander the centre taking in the Radcliffe Camera, Christ Church and Sheldonian theatre, before settling in for a pint at one of the city's many pubs, such as The Bear or Turf Tavern. Beautiful stretches of rolling English countryside right on the city's doorstep. There are numerous options for a day's walking, such as starting from the train station at Hassocks and walking via Ditchling Beacon – the highest point on the Downs – to the county town of Lewes. Pack a picnic and plan your route before you set off. 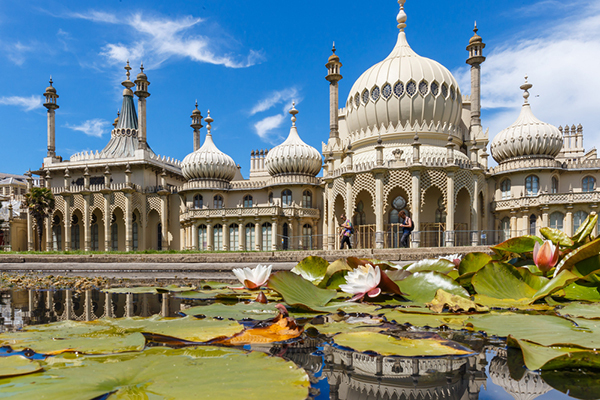 London's favourite seaside playground ever since the Prince Regent built his extraordinary pavilion here, now you can spend a day wandering the seafront and browsing the quirky shops and cafés of North Laine and the Lanes neighbourhoods. London is a year-round destination, with a full calendar of events each month. Late spring and summer (Easter–September) is particularly fun, with the parks hosting music festivals and pub gardens thronging on sunny days. The run-up to Christmas also sees seasonal markets and events. January and February are the quietest and coldest months (though always come prepared for rain). London is an international hub, with five major airports, and international train connections to Paris, Brussels and beyond. Heathrow, Gatwick and City airports are the most convenient, all connected to the main transport networks by train and/or underground.